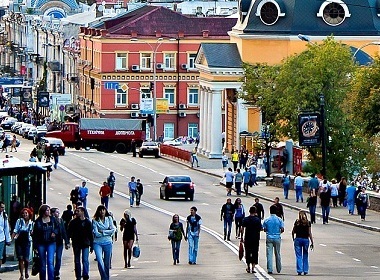 Costs of life in Ukraine increased by 80% since 2010 while incomes dropped by 10%, the official statistics by Ukrstat reveal. Prices for certain groups of goods and services increased more than others, from 11% to 200%, Finance.ua reported. The government statistics company Ukrstat insists that the overall inflation from 2011 to 2015 was around 80%, which means prices for the majority of goods and services in Ukraine have not even doubled, contrary to the popular belief. 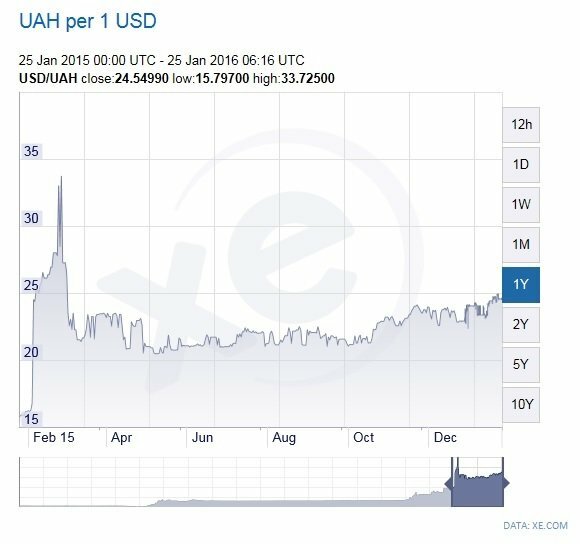 The largest price hikes occurred in 2015, when the national currency went from 15.76 hryvnia (2 January 2015) to 24.02 hryvnia for 1 USD (31 December 2015). Price growth in 2011-2015 was happening at a different speed depending on the industry. 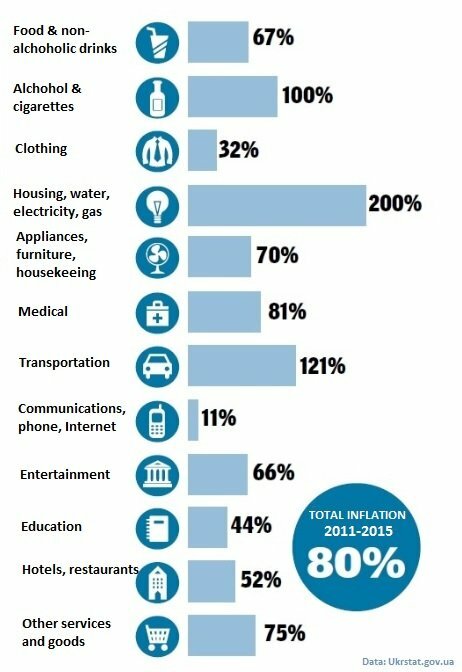 Industries where prices are regulated by the government accumulated the largest growth (alcohol, cigarettes, rates, water, electricity). Price hikes on alcohol and tobacco are connected with excise taxes, regulated administratively and seen as the fastest way to get money for the budget, Alexander Okhrimenko, president of Ukranalitcentr points out. At the same time the industries with high competition such as communications, hospitality, groceries, and clothing recorded the lowest growth. Price growth in Ukraine by industry from 2011 to 2015. I think 80% of costs increasing is awful! 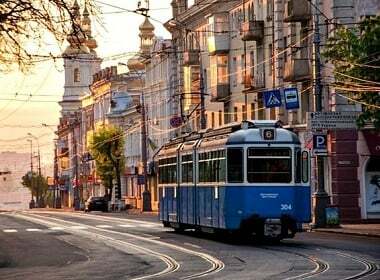 And, of course, the life level in Ukraine leaves much to be desired, the situation is relly very difficult. Unfortunately, we have only to hope for some changes. I am assuming the numbers are calculated in local currency. When using foreign currency such as USD, the inflation is not as great. Jack, do you receive your salary in Rubles (or Hryvnia)? Of course not. You earn money in your local currency. People get salaries, pensions, government subsidies, pay their rates and taxes in the local currency. So, certainly, inflation is calculated for the country in its local currency. The dollar amounts here are just to make it simpler to understand the values and costs.